Magic Mountain's All New 2017's have custom Polished Stainless Steel Frames, Shelves, Bottoms, Tanks, Reservoirs, and Faucet Lines. Bottleless Direct Bottleless Cooler Features Stylish, rounded front, contemporary cooler Available in Hot N' Cold and Cook N' Cold, Stainless steel reservoir, Built-in safety-float to prevent overflowing, Heavy duty polyethylene cabinet in white or black, Two-piece hot tank, Large drip tray, Handles for simple mobility, Certified to NSF/ANSI 372 for low lead content, Energy star rated, UL listed, 3-year limited warranty. 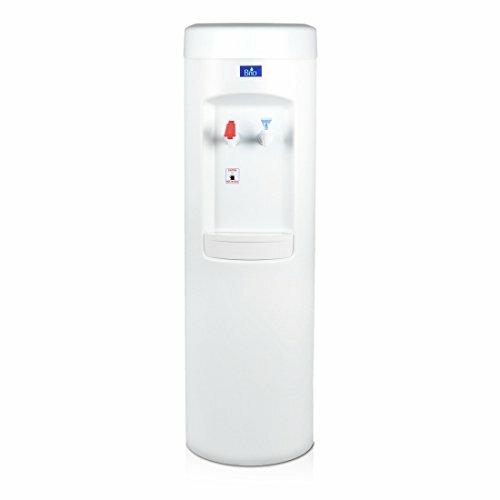 This affordable commercial bottleless water cooler is the number one choice of water companies to rent to their customers, because of it's long lasting durability. Newly redesigned with it's sleek modern appearance will fit any decor. With adjustable cold water thermostat you decide how cold you'd like the water to be, and with it's quiet hermetically sealed compressor you won't even know it's there. Stainless Steel Reservoir, scratch resistant cabinet, EASY TO CLEAN. Magic Mountain's All New 2017's have custom Polished Stainless Steel Frames, Shelves, Bottoms, Tanks, Reservoirs, and Faucet Lines. If you have any questions about this product by Bottleless Direct, contact us by completing and submitting the form below. If you are looking for a specif part number, please include it with your message.